Have you taken steps to winterize your home this year? It's not too late to take a look at all the nooks and crannies (Seriously, you should start with the nooks and crannies since they're probably letting all that cold air in and the hot air out!) and make some easy, DIY changes. Time Money reports that 45% of the average household's energy bill goes to heating. "According to the Department of Energy, heating is the largest expense in the average American home," they said. Have natural gas heating? The average cost of heating your home from October through March is $649. That number goes to $938 for those with electric heating, they said. A little time and effort can make a big difference in how efficiently your home runs - and how high (or not) your winter bills soar. You should be doing this on a regular basis, anyway, but, if it's been awhile, it's time to hit Home Depot. New filters help your HVAC system to run more efficiently, which can mean lower heating bills and a heater that lasts longer. "A one-eighth-inch" gap under a 36-inch-wide door... will let in as much cold air as a 2.4-inch-diameter hole punched in the wall," said Time: Money. That's a lot of air coming in and a lot of money going out. 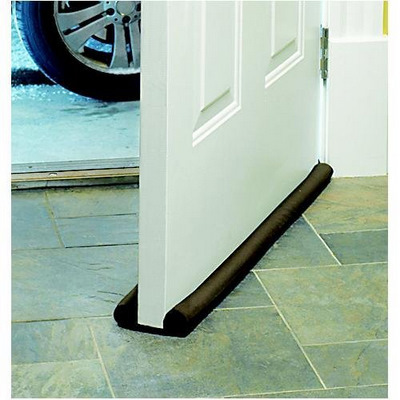 Draft guards under doors can plug those holes for a minimal cost ($10–15). For doors and windows, weather stripping tape is cheap, easy, and effective at sealing holes. Still drafty? "Any remaining gaps in siding, windows, or doors can be filled with caulk," said Bob Vila. "For extra drafty windows and doors, caulk the inside too, pulling off moldings to fill all gaps in the insulation. Cost: $20 for a basic caulk gun and $5 to $10 for a tube of caulk." Taking care of the leaks around the windows is only half the battle. Heat loss through the windows themselves can also be costly. Insulated drapes can help, and so can insulation film applied directly to the windows. "It may not be the most fashionable tip, but window insulation film can keep up to 70% of your heat from leaking out of windows," said Bob Vila. "Cost: $20 to $35 per kit." Most fans come with a reverse switch, but many people don't know what it's for. Turns out, your fan can actually help you feel cozy in the winter and give your heater a bit of a break. "Most people think of fans only when they want to be cool, but many ceiling units come with a handy switch that reverses the direction of the blades," said Popular Mechanics. "Counterclockwise rotation produces cooling breezes, while switching to clockwise makes it warmer. Air pooled near the ceiling is circulated back into the living space—cutting your heating costs as much as 10 percent!" Do you usually flip on the exhaust when you're cooking dinner, taking a shower, or running your laundry? Eliminating this one action could save you money. "An exhaust fan blows the warm air in your house outside, dropping the temperature of your home as that air is replaced with cooler air," said The Simple Dollar. "Even worse, exhaust fans are usually blowing out moist air, which does a better job of holding the temperature. Instead of flipping on the exhaust fan when you take a shower, just leave the bathroom door open. This allows the warm air to naturally flow into the rest of the house, bringing the warmth of your shower along with it." 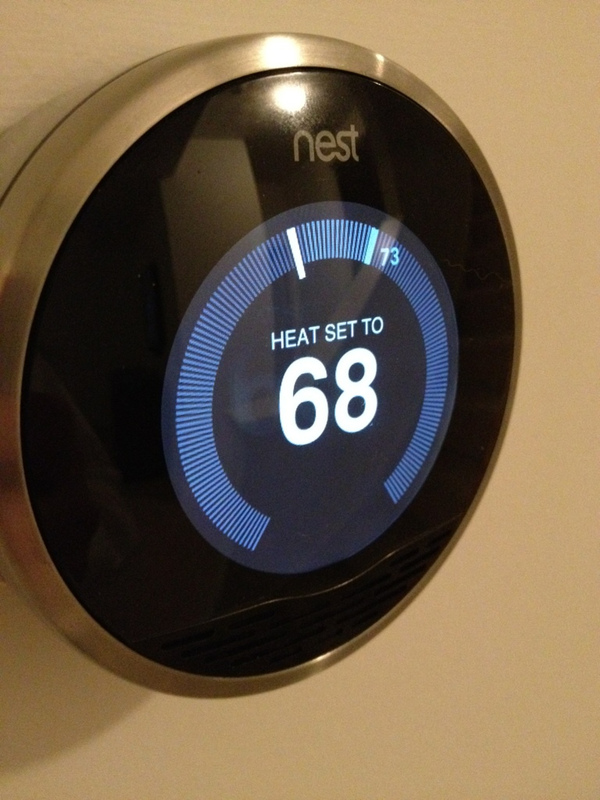 It's no secret that the higher your thermostat is in the winter, the higher your heating costs. But did you know just how much you can save by going lower? "Turn down your thermostat to 68 degrees," said the Consumer Energy Center. "For every degree you lower your heat in the 60-degree to 70-degree range, you'll save up to 5 percent on heating costs. Set the thermostat back to 55 degrees or off at night or when leaving home for an extended time, saving 5-20 percent of your heating costs." That goes for hot water heaters, too. "Set your water heater to the "normal" setting or 120-degrees Fahrenheit, unless the owner's manual for your dishwasher requires a higher setting," they said. "Savings are 7-11 percent of water heating costs."